Arlington Soccer Association is proud to share the announcement of former Arlington Striker (1996B) Eryk Williamson in signing his first professional contract with the MLS Portland Timbers. DC United traded Williamson’s Homegrown Player rights to Portland on Tuesday, receiving $100,000 in 2018 General Allocation Money, $100,000 in 2019 Targeted Allocation Money, a second-round pick in the 2020 MLS SuperDraft and a 2018 International roster slot. Also a fixture in the United States U-20 national team, Eryk Williamson is one of the top prospects to come out of D.C. United’s academy in recent years, but he’s turning pro with the Portland Timbers. On Monday evening the Washington Post’s Steve Goff reported that United were unable to agree contract terms with Williamson and confirmed as much with general manager Dave Kasper. That impasse led to inquiries from other MLS clubs, with the Timbers eventually winning the race to acquire the player’s rights. 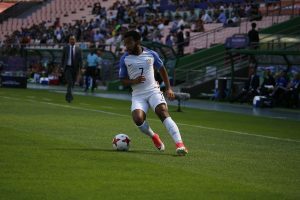 Williamson, 20, was most recently a junior midfielder at the University of Maryland who played a significant role on Tab Ramos’ US U-20 side during both CONCACAF qualifying and FIFA U-20 World Cup action last year, scoring a goal and two assists in 12 games (10 starts) across all competitions. He netted 14 goals and 13 assists over three years with the Terrapins before foregoing his senior season to turn pro. Prior to attending the University of Maryland, Eryk featured for DC United’s U-18 Academy for one year after transitioning from Arlington as part of ASA’s affiliate relationship with DC United. 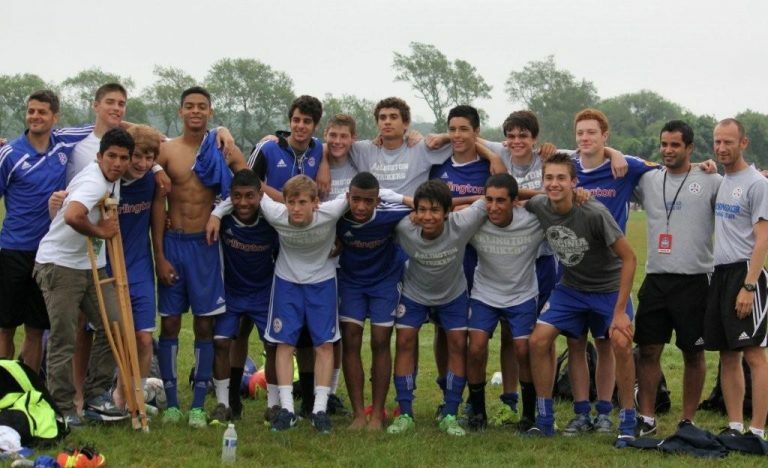 Eryk first joined Arlington as a member of the then U15 (1996 Boys) Strikers Red, playing for Coach Chris Smith. In his first season with Strikers, Eryk contributed to a playoff run at the prestigious Disney College Showcase, a Virginia State Cup semifinal, and victory in the Colonial League (formerly Division 2 of the Eastern Regional League) which earned an automatic birth to the Regional League – then the highest competitive level for club soccer programs. Over the next three years, then under the guidance of Coach Mo Tayari, Eryk and Strikers would win back-to-back Virginia State Cups, reach the final of the Regional Championships, defeat the defending national champion in the championship game in the top flight at Disney, and achieve a host of other accolades. Eryk was also known to distinguish himself by supporting younger players in the club at ASA camps and clinics. Arlington Soccer and its staff are very proud of Eryk for these fantastic accomplishments and wish him the very best as he starts his professional career in Portland.